“The President ordered the Defense Ministry and the Emergencies Ministry to send to Syria’s Aleppo mobile hospitals, which will provide treatment for residents of the city and its neighborhoods,” Kremlin spokesman Dmitry Peskov said Tuesday. 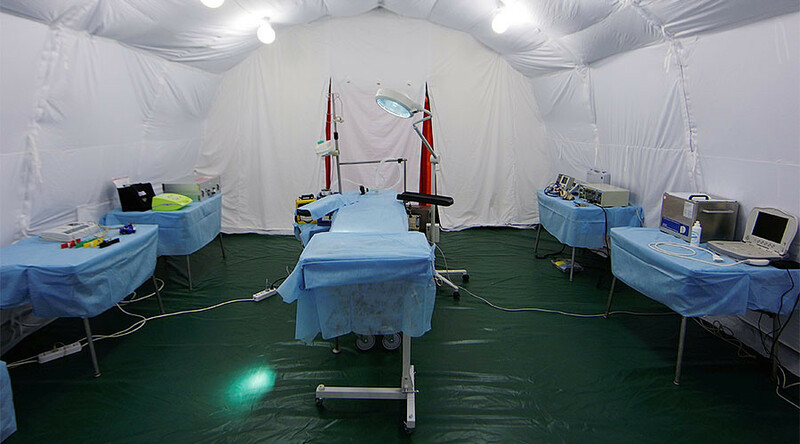 The Defense Ministry will operate a special 100-bed clinic with trauma equipment for treating children, he added. This hospital will be able to service about 420 outcare-patients daily. The Emergencies Ministry is also to deploy a 50-bed clinic capable of treating 200 outcare-patients each day. The facilities will be operational “very soon,” Peskov said. It comes as the Russian military announced a breakthrough in Syria’s operation to retake the militant-held part of Aleppo. Tens of thousands of civilians, who were previously kept by armed groups as human shields, are now in the government-controlled part of the city and require supplies and medical attention.